With an emphasis on diagnosing and troubleshooting–and featuring numerous tech tips and diagnostic examples throughout–this comprehensive, full-color book covers all aspects of automotive fuel and emissions. Designed specifically to correlate with the NATEF program, and updated throughout to correlate to the latest NATEF and ASE tasks, Automotive Fuel and Emissions Control Systems, 4/e combines topics in engine performance (ASE A8 content area) with topics covered in the advanced engine performance (L1) ASE test content area. The result is cost-efficient, easy-to-learn-from resource for students and beginning technicians alike. This book is part of the Pearson Automotive Professional Technician Series, which features full-color, media-integrated solutions for today’s students and instructors covering all eight areas of ASE certification, plus additional titles covering common courses. Peer reviewed for technical accuracy, the series and the books in it represent the future of automotive textbooks. Jim Halderman brings a world of experience, knowledge, and talent to his work. His automotive service experience includes working as a flat-rate technician, a business owner, and a professor of automotive technology at a leading U.S. community college for more than 20 years. He has a Bachelor of Science degree from Ohio Northern University and a Master’s degree in Education from Miami University in Oxford, Ohio. Jim also holds a U.S. Patent for an electronic transmission control device. He is an ASE certified Master Automotive Technician and is also Advanced Engine Performance (L1) ASE certified. 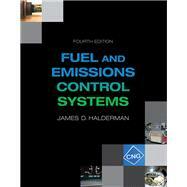 Jim is the author of many automotive textbooks, all published by Pearson Education. Jim has presented numerous technical seminars to national audiences, including the California Automotive Teachers (CAT) and the Illinois College Automotive Instructor Association (ICAIA). He is also a member and presenter at the North American Council of Automotive Teachers (NACAT). Jim was also named Regional Teacher of the Year by General Motors Corporation and outstanding alumni of Ohio Northern University.